So much has been said about “fake news” over the last couple of years, therefore I want to do everything possible to keep things real. Whatever I report will be genuinely true. However, I’m a blogger, not a reporter, so what I offer by way of news will be limited to what’s already in the news… unless, of course, it’s about me. I’m loved by God, and so are you! That’s the truth! I’m not perfect and I’m overweight, but I’m working on it, just not enough. Just being honest. My recent heart problems were nobody’s fault but my own. Had I been eating better and exercising a long time ago, my arteries would not have been as clogged and I would not have had a heart attack. I got what I deserved – that was just. It’s good to have a wife that loves me despite my selfish and stupid ways. Her love is not predicated on my looks or my income, either. Her love for me is genuine and pure. But even though it’s pure by human standards, it’s not as pure as the love of Christ which was completely selfless and self-sacrificing. My new little granddaughter, Emma, is a bundle of cuteness! She’s lovely! Hey, I have good news to report! I had a CT scan on my throat, but the lump was not cancer! What’s been good in your life this week? What didn’t go as badly as you expected? Who still loves you despite what you’ve done or not done? The fact is God loves you, gave his Son for you, and offers you an intimate relationship, even kinship, with Himself! Despite anything else going on in your life or in this world, knowing THAT is awesome news that rarely gets reported. You should praise Him! I am a few months shy of 50 years old, yet I still feel like a kid…most of the time…at least mentally…well, that makes me sound stupid…I mean, emotionally…now I am emotionally unstable…I didn’t say that; the keyboard did. When am I going to be the mature person I always wanted to be? When am I going to grow up? From i4Daily: Plastic army men waiting for Smurfs to return. If given the opportunity, I would like to take a box of plastic toy soldiers out to a dry, dusty field, cart a load of bottle-rockets and firecrackers, and sling across my shoulder a CO2 pellet rifle with a scope. Then, with the PG-version of a Gen. George S. Patton inspiring my verbiage, I would unleash the “shock and awe” of my personal arsenal in an bombastic display of testosterone-infused mayhem. You women are probably rolling your eyes, aren’t you? Is there something wrong with me? No, I’ve just got an IMAGINATION! Since when did it become necessary to lose one’s imagination in order to become an adult? Did Jesus ever say that pastors should check their imaginations at the door when they entered the hallowed halls of ministry? Of course not! What kind of preacher would I be without an imagination? A pitiful, orthodox, dry, and sad one, I would think. Growing up has nothing to do with the desire to have fun or play (even with plastic army men). Growing up has everything to do with being the person we are designed by God to be. Growing up means accepting responsibilities, finishing tasks, taking stands, and putting others first. Growing up means not being tossed back and forth with every wind of change, or every wind of doctrine (Ephesian 4:14), but committed to truth, and speaking it in love (v.15). Growing up may mean taking up one’s cross, but it doesn’t require crucifying the imagination. Aren’t you glad God had an imagination? Who else could have thought up everything that is when there was nothing to compare it to? We should praise Him for His wonderful imagination! Stop and think about it. We were made in the “image” of God (Gen 1:27). Surely, “imagination” was included in that likeness. We are the product of His very own “creativity.” He created us with an imagination so that we could appreciate the beauty of the unseen and long for the yet-to-be. Eyes have not seen, and ears have not heard; we can only imagine. 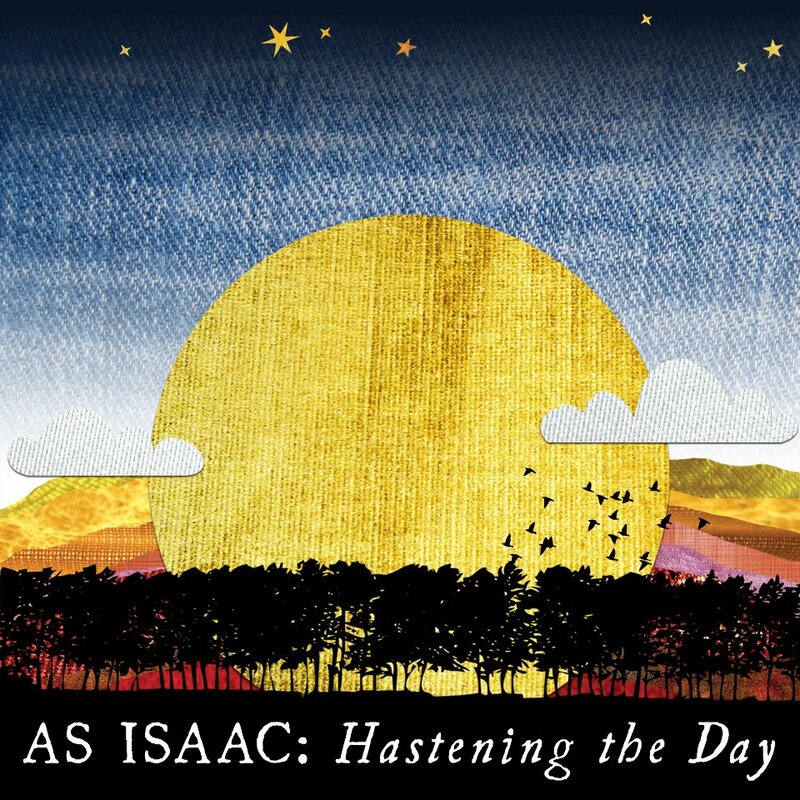 It is not often that I take such a liking to a group, but As Isaac is a band that has really made an impact on me. Well, the great thing was that they were performing at their home church just a few miles away over Lookout Mountain. We went, not knowing what to expect, but left knowing we had heard some seriously talented, humble tools of the Lord. One song, written and sung by Rachel Kelly, brought chills the first time I heard it. The name of the song is Speak Lord. So, as you could imagine, I was totally thrilled to find out that the band had come out with a video. Let me just tell you something that really impresses me about these guys (and girls)…it’s the lyrics. Beside being wonderful musicians, the words of the songs these young people sing show evidence of a deep walk with Christ. These aren’t kids who write fluff just so they can get on stage and rock the house. These are deep, spiritual young men and women of God who have experienced a real walk with their Creator. Do me and yourself a favor – watch this video. Then, go check out their website and order their music. You will not be disappointed, believe me. I am in my 40’s, and I still feel like a kid – most of the time – at least mentally – well, that makes me sound stupid – I mean, emotionally – now I am emotionally unstable – I didn’t say that; the keyboard did. When am I going to be the mature person I always wanted to be? When am I going to grow up? If given the opportunity, I would like to take a box of plastic toy soldiers out to a dry, dusty field; cart a load of bottle-rockets and firecrackers; and sling across my shoulder a CO2 pellet rifle with a scope. Then, with the PG-version of a Gen. George S. Patton inspiring my imagination, I would unleash the “shock and awe” of my personal arsenal in an anti-feminine display of testosterone-infused mayhem. Sorry, ladies, if you don’t understand. You may need to go find a sale somewhere. Is there something wrong with me? Probably, but that’s beside the point. No, nothing is “wrong” with me – I’ve just got an imagination. Since when did it become necessary to lose one’s imagination in order to become an adult? Did Jesus ever say that pastors should check their imaginations at the door when they entered the hallowed halls of ministry? Of course not! What kind of preacher would I be without an imagination? A pitiful, orthodox, dry and sad one, I would think. Growing up has nothing to do with the desire to have fun or play (even with plastic army men). Growing up has everything to do with being the person we are designed by God to be. Growing up means accepting responsibilities, finishing tasks, taking stands, and putting others first. Growing up means not being tossed back and forth with every wind of change, or every wind of doctrine (Ephesian 4:14), but committed to truth, and speaking it in love (v15). Growing up means carrying our crosses when the cross gets heavy, especially when we have to carry it for the sake of others. Becoming mature does not mean we have to crucify our imagination.